However, one US man has a cleaning schedule that ensures his house remains in perfect condition all year. 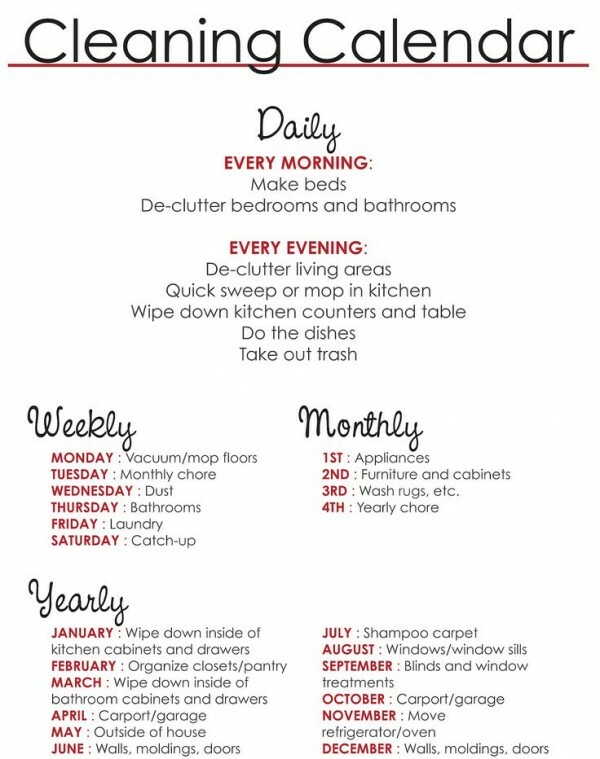 The schedule was shared on Imgur and includes daily, weekly and annual tasks with chores scheduled for every day. It is not clear how much time is assigned to each task but organising your kitchen presses is not a quick job. Opinion was divided with one user claiming that "making the bed strikes me as the pinnacle of pointlessness" (Awesomegeddon) and another saying that the "daily is my once a month or never. I'm a terrible housekeeper" (TheHappiestQuack). NS0229 says that it's easier to just "clean my house every Saturday" while Quello struggled 'trying to wrap (his) mind around the weekly task of doing a "monthly chore".